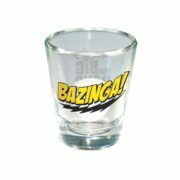 This is a new and unused clear shot glass featuring the image of the Bazinga logo from the popular TV show Big Bang Theory. 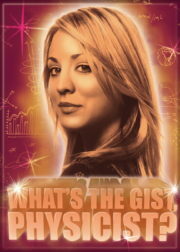 Produced by ATA BOY, this is a licensed refrigerator magnet measuring 2.5″ by 3.5″ that features photo images and sayings from the hit television series The Big Bang Theory. This is an illustrated, large 14 ounce freezer mug (put it in the freezer to chill before using it) featuring the TV series logo of The Big bang Theory on one side and the Bazinga logo on the other. 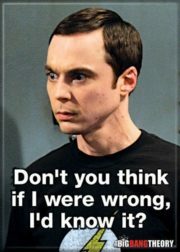 This is a black and red polyester cooking apron that features the popular Bazinga! 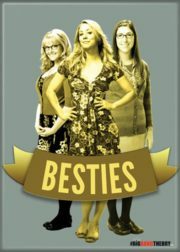 name logo across the front from the hit comedy TV series The Big Bang Theory. 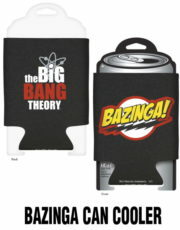 This is an illustrated insulated neoprene drink can cooler featuring the name logo of the popular TV series The Big Bang Theory on one side and the name logo of Bazinga on the other. 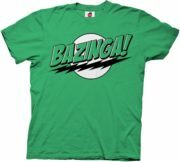 This is a green t-shirt, featuring the name logo of Sheldon’s favorite word “Bazinga!”, from the hit TV series The Big Bang Theory. 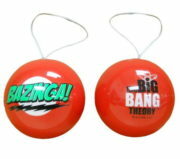 Produced in 2012 this is a 3″ diameter lightweight two sided red ball Decoupage ornament with the image of the Bazinga! 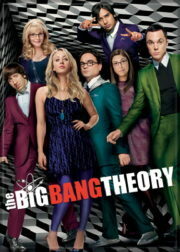 name logo in green on one side and the name logo of the hit comedy TV series The Big Bang Theory on the other. Produced in 2012 this is a set of four 3″ diameter lightweight two sided ball Decoupage ornaments with the image of the Bazinga! 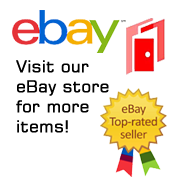 name logo on one side and the name logo of the hit comedy TV series The Big Bang Theory on the other. 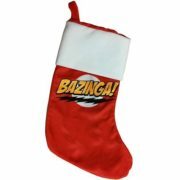 This is a red, white and orange felt Christmas style stocking measuring 18″ long and featuring the popular phrase of Sheldon “Bazinga!”, from the hit TV series The Big Bang Theory. 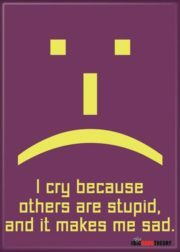 Produced by ATA BOY, this is a licensed refrigerator magnet measuring 2 1/2″ by 3 1/2″ that features photo images and sayings from the hit television series The Big Bang Theory. 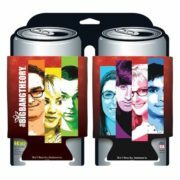 This is a set of two, illustrated, insulated, neoprene drink can cooler featuring the image of the cast of the popular TV series The Big Bang Theory on one side and the name logo of the show on the other. 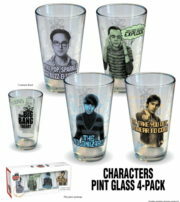 This is a set of two clear illustrated 16 ounce pint glasses, one featuring the guys and the other the girls from the popular TV series The Big Bang Theory on one side and the name atom logo of the show on the other. 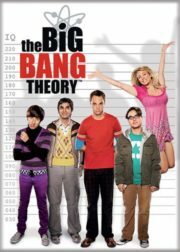 This is an illustrated, large 16 ounce pint glass set of four featuring the TV series logo of The Big Bang Theory on one side and the character images of Leonard, Raj, Howard and Sheldon on the other. 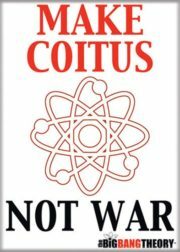 Produced by ATA BOY, this is a licensed refrigerator magnet measuring 2.5″ by 3.5″ that features photo images and sayings from the hit television series The Big Bang Theory. This is a new, never used magnet. 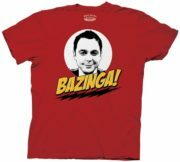 This is a red t-shirt, featuring the image of Sheldon over his favorite word “Bazinga!”, from the hit TV series The Big Bang Theory. 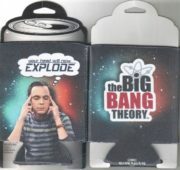 This is an illustrated insulated neoprene drink can cooler featuring the photo image of Sheldon from the hit TV series The Big band Theory on the front and the show logo on the back. 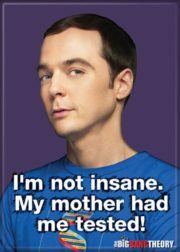 Above Sheldon’s head are the words “Your Head Will Now Explode”. 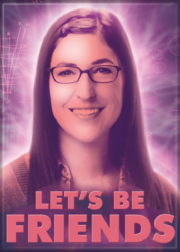 Produced by ATA BOY, this is a licensed refrigerator magnet measuring 2.5″ by 3.5″ that features photo images and sayings from the hit television series The Big Bang Theory. This is a new, never used, magnet stored in a smoke and pet free environment.